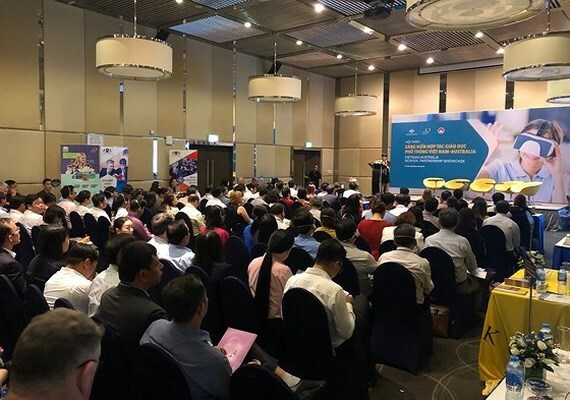 The Australian Trade and Investment Commission and the Ho Chi Minh City Department of Education and Training held a conference on Vietnam-Australia general education cooperation initiative in the City on November 30, giving a chance for education management agencies and facilities of both sides to expand partnership. Karen Lanyon, Australian Consul General in Ho Chi Minh City said that Vietnam and Australia have had fruitful collaboration in many areas, including education. With its high-quality education, Australia is one of the top destinations for Vietnamese students, she said, adding that the quality of Australia’s general education programme has been recognised worldwide. According to a recent report from Australia's Department of Education and Training, 23,000 Vietnamese students are currently studying in Australia. Nguyen Van Hieu, Vice Director of the HCM City Department of Education and Training noted that Australian states have supported the City to organise training courses at different level, especially those for international vocational training certificate and those for teachers and management officials. The exchange of experience among high-schools has also been effective, he said. Hieu said that Vietnam’s education sector is experiencing a fundamental and comprehensive reform to become more integrated into the world. The expansion of cooperation with other countries is an obvious trend to improve students’ capacity in foreign language, IT and other skills for the future, he added. 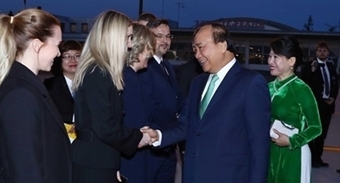 Through the Vietnam-Australia general education cooperation initiative, HCM City hopes to foster the already sound education collaboration between the two sides, meeting the rising demand for education and training quality as well as international integration in the sector of Vietnam and the city in particular, stated Hieu.